You can still enjoy signature cocktails without breaking the bank. If you plan on going to Hawaii, chances are you are going to want to try a mai tai or blue Hawaii cocktail. If you are at a place that does it right, and you are watching your pocketbook, then you probably will not like the $10 to $35 charge (usually a drink for two people) that comes along with it. Even if all you want is a glass of wine before dinner, it can still cost you $8 to $15 a glass at most hotel and resort bars. If you are someone who enjoys a few drinks here or there, and you are on a budget, you may find in quick order you will have exhausted your budget. Fret not. You have an alternative. The dollars add up fast if you start to run a tally on your drinks per day. If the average cost for a drink is $10, and if you and your spouse or special someone have one drink each at lunch and at dinner every day for a week, those costs quickly mount to up to $280 a week. That does not include tips. And, that does not include a night on the town with more than one drink planned (or not planned) for the night. Many hotels, resorts, and local establishments have happy hours where drink costs (most commonly beer) are significantly lower than at other times. It is not just alcohol that is expensive in Hawaii. Bottled water, juice and soda can also make a serious dent in your vacation budget. If you are trying to be budget-conscious, then do not go near the hotel mini-bars. The small, in-room refrigerators are usually stocked with mini bottles of liquor and mixers. Do not touch them. The prices are astronomical. Fortunately, more and more of the hotels and resorts are going the route of providing a small empty refrigerator in the room, instead of a stocked fridge. The Ritz-Carlton in Kapalua has gone this route, it will not be too long before most all resorts will follow suit. Your best bet for staying within budget is to find an ABC Store, Whalers General Store, or a supermarket. There are 37 ABC Stores within a one-mile radius of Waikiki. You can buy a bottle of liquor, wine, beer, and mixers at a reasonable cost at those stores. For example, a bottle of wine averages $10. Also, most of the stores sell pre-made bottles of popular tropical drinks or bottles of the liquor that you can use to make your own mai tai, pina colada or blue Hawaii. 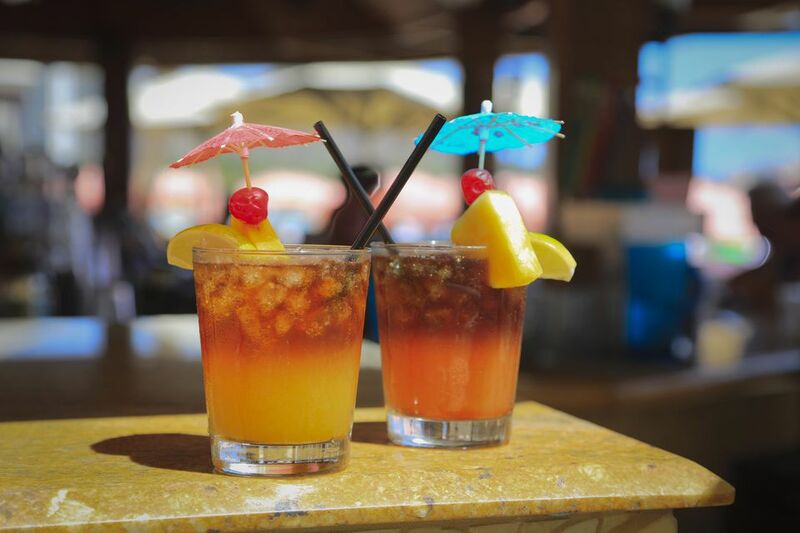 Take it back to your hotel room, grab some ice, pour, and enjoy it from your hotel room's lanai. While you are at your favorite hotel bar or restaurant and you get a drink you really like—don't be shy—go up to the bartender and ask for the recipe. Replicate it back in your hotel room. The bartender's special recipe is a nice souvenir to have for home, too. Since you are in Hawaii be sure to try one of the nice Hawaiian wines. Maui's Winery at 'Ulupalakua Ranch bottles Maui Splash!, which is a light and fruity wine made from pineapple and passion fruit. Maui Blanc is a soft, semi-dry wine made from the juice of Maui-grown pineapples. ABC stores sell a large bottle of water for $1 or so. Pick up a couple to have for your sightseeing adventures. Also, soda costs are reasonable and comparable to what you would pay at a 7-Eleven or Wawa back in your hometown.